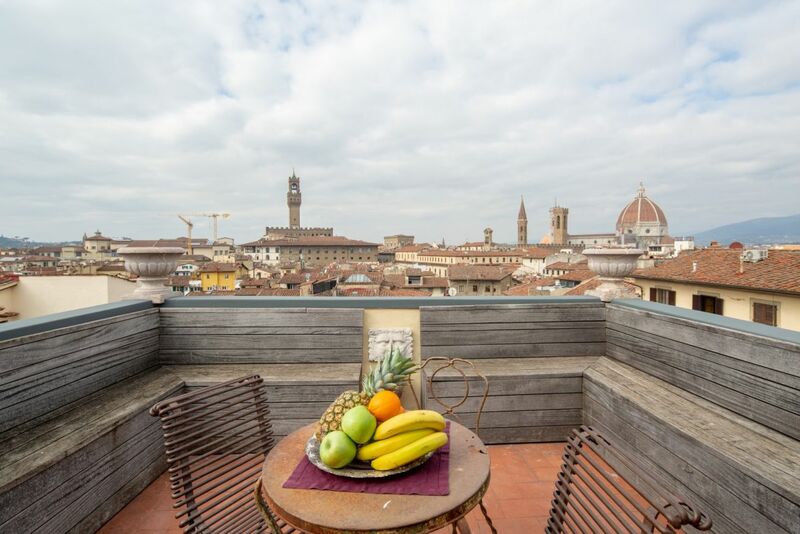 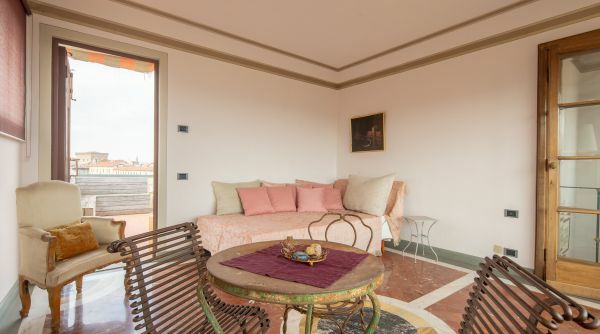 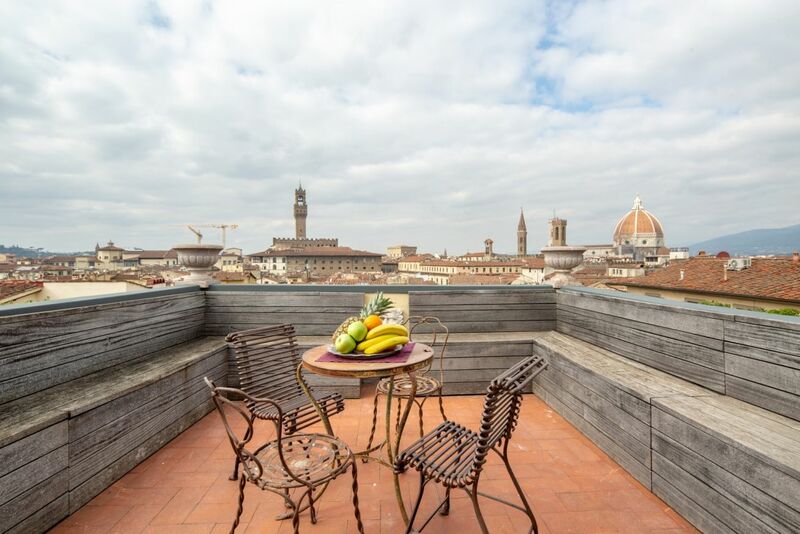 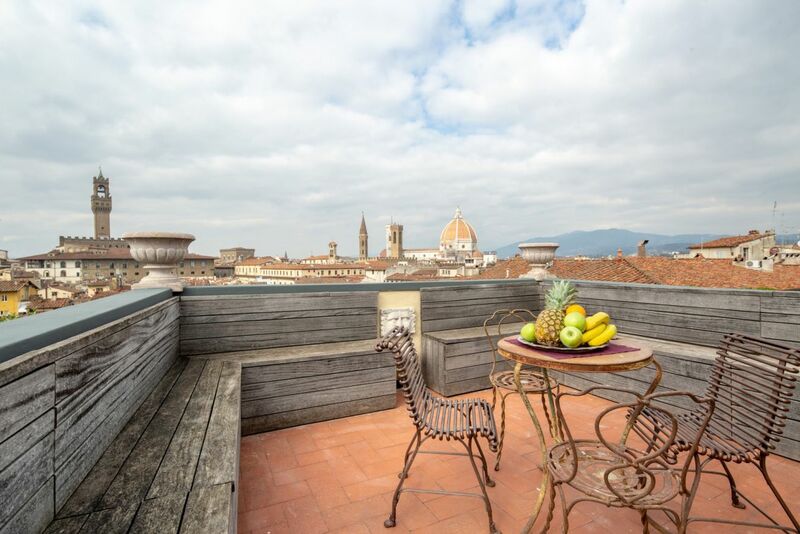 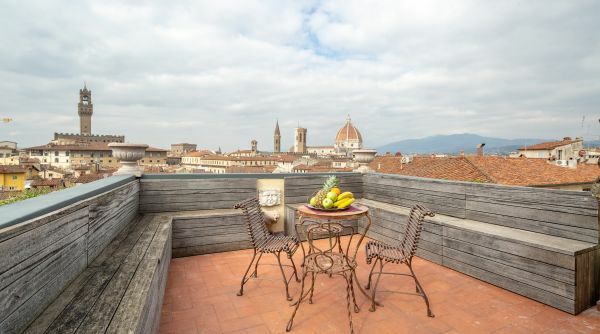 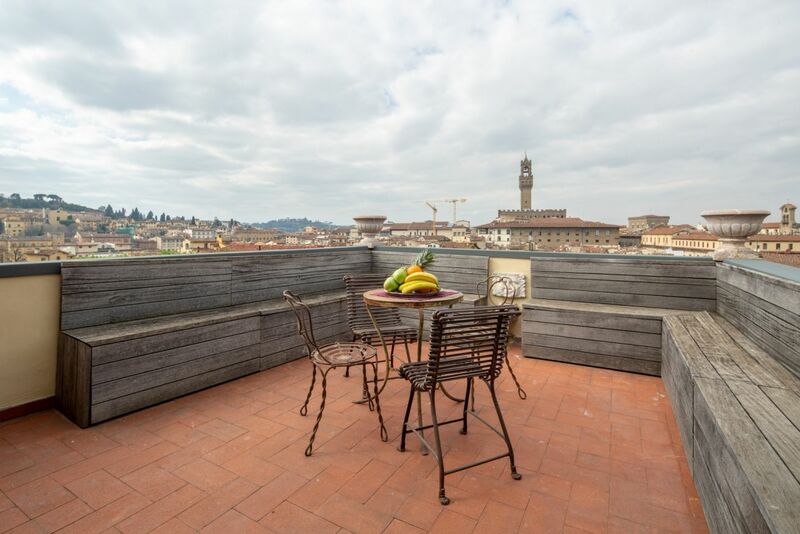 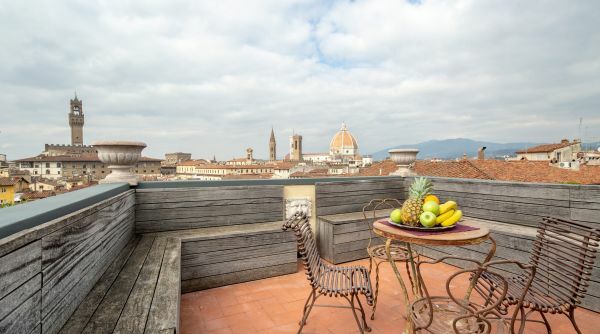 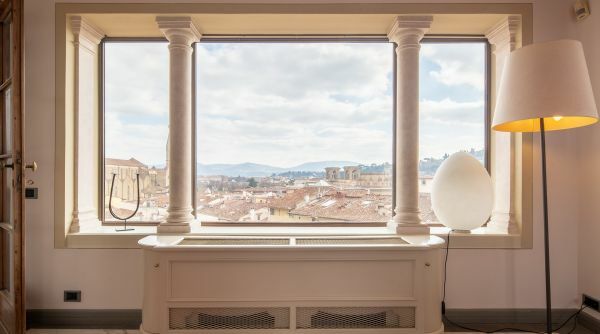 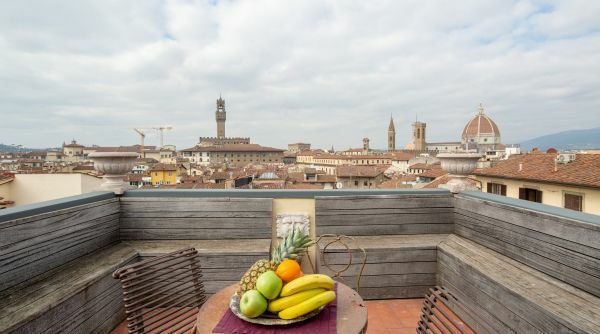 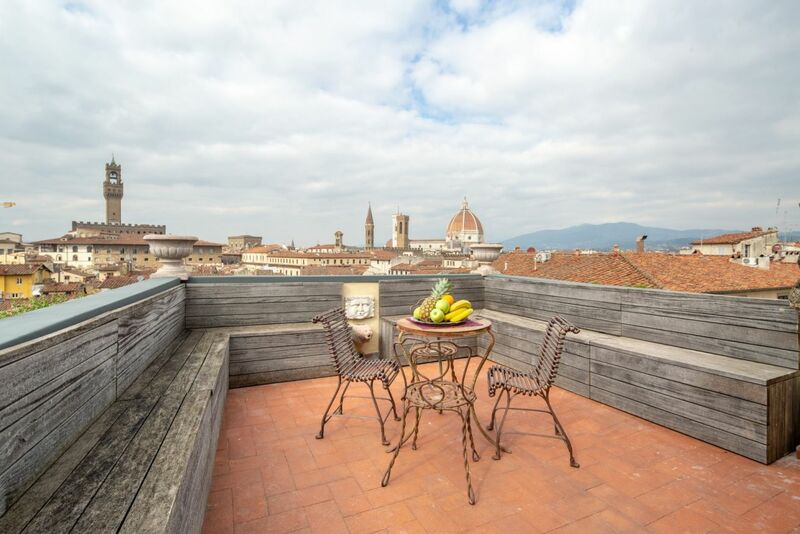 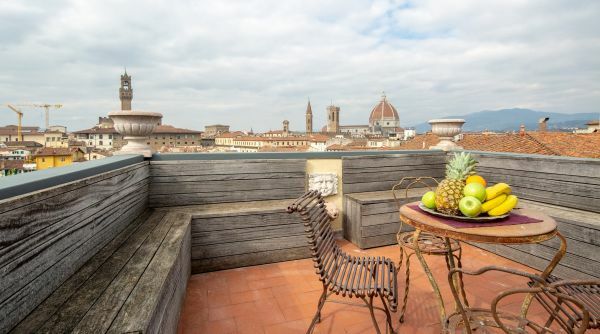 Luxury Panoramic Terrace is an exclusive apartment with a spectacular view on all the main monuments of Florence. 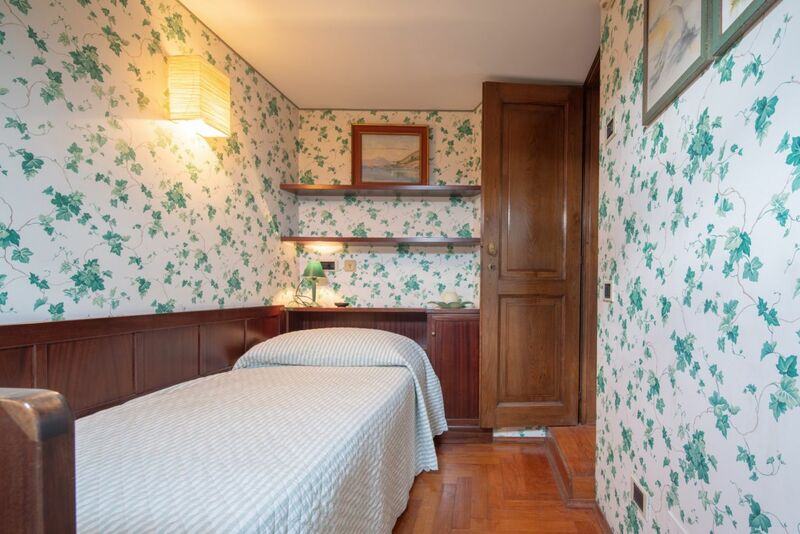 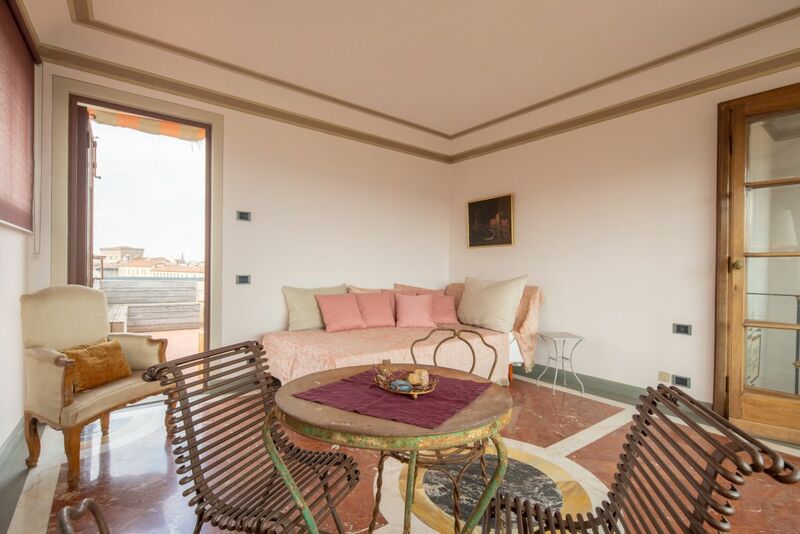 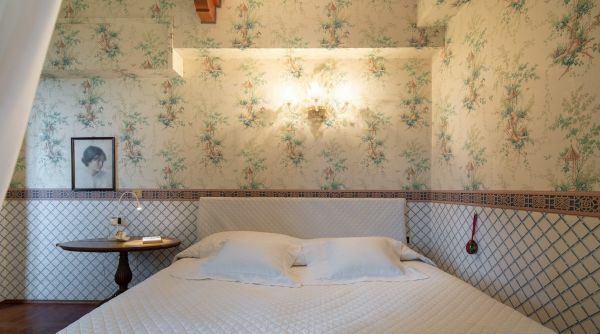 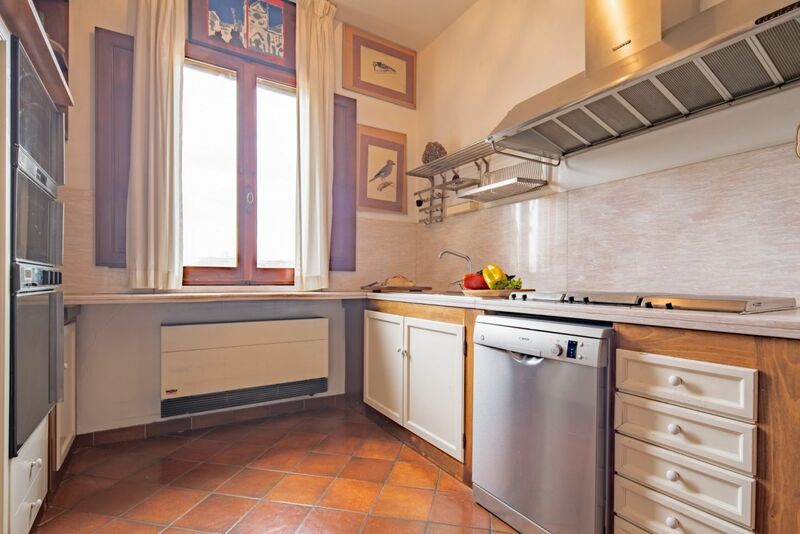 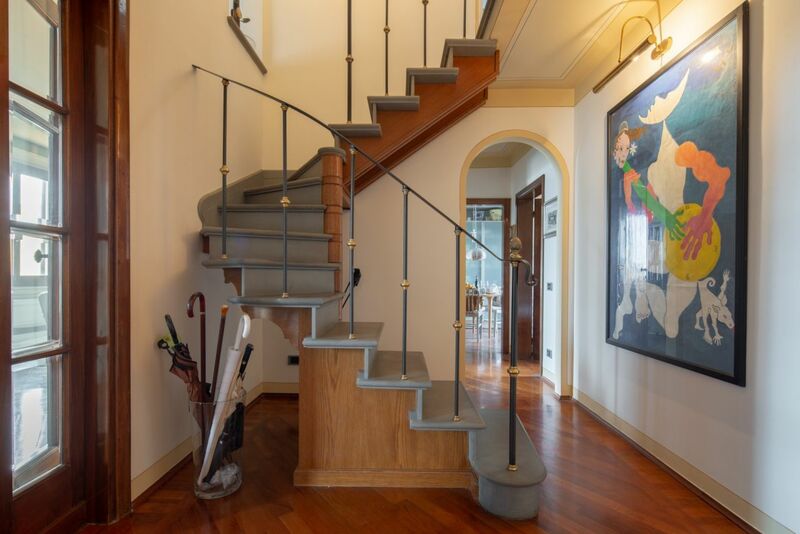 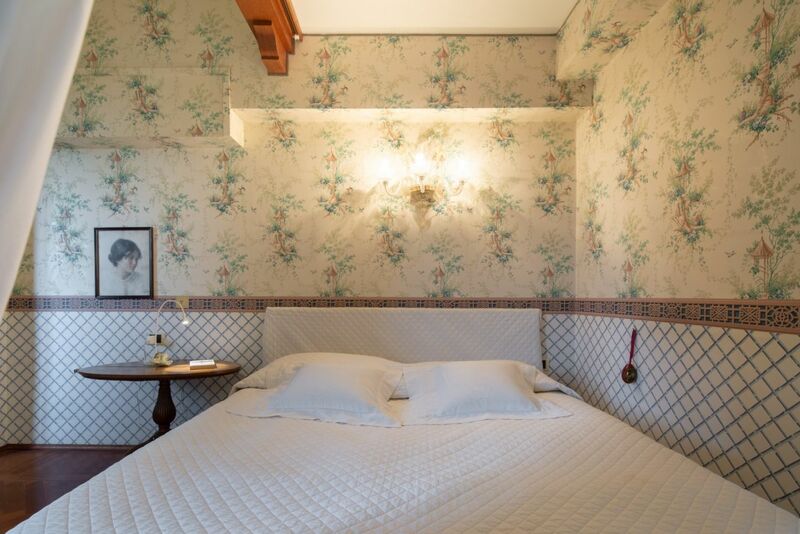 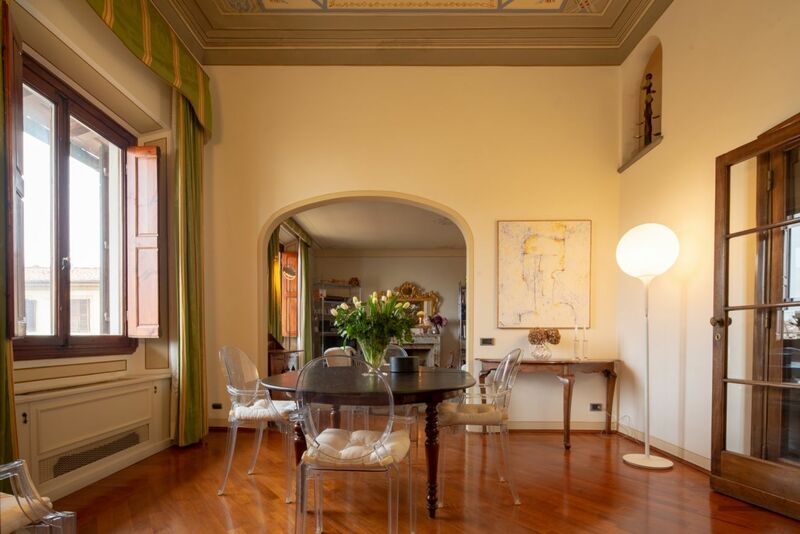 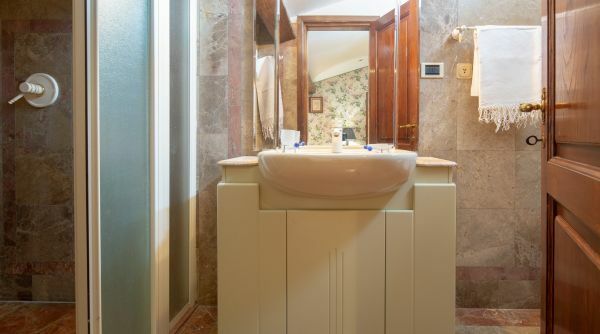 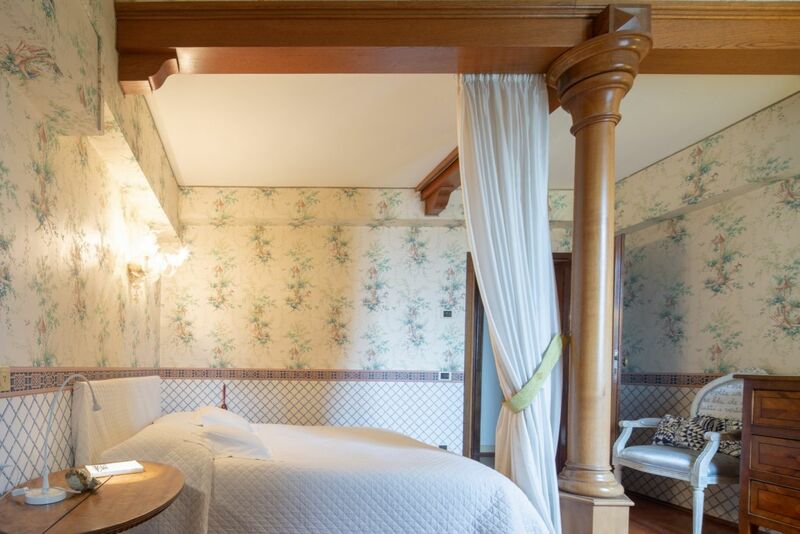 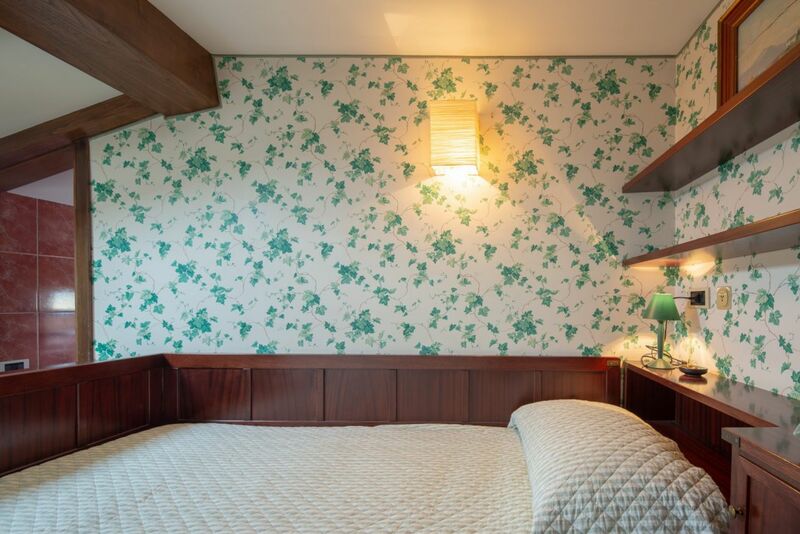 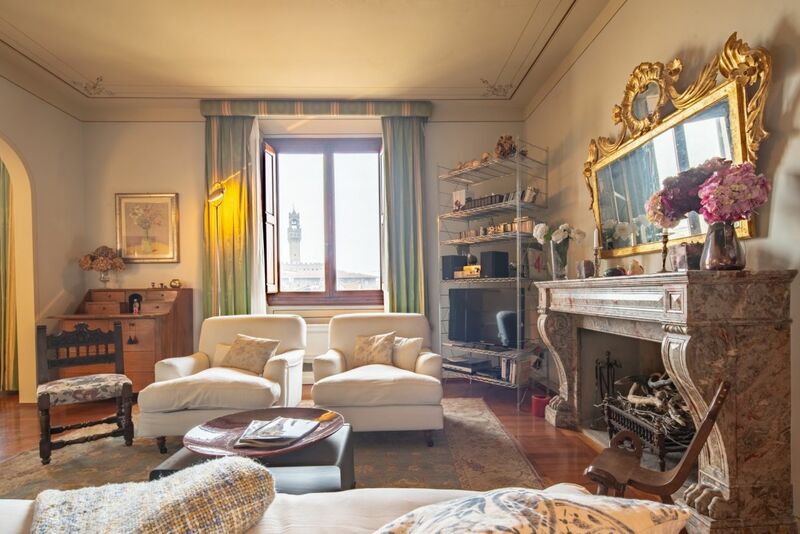 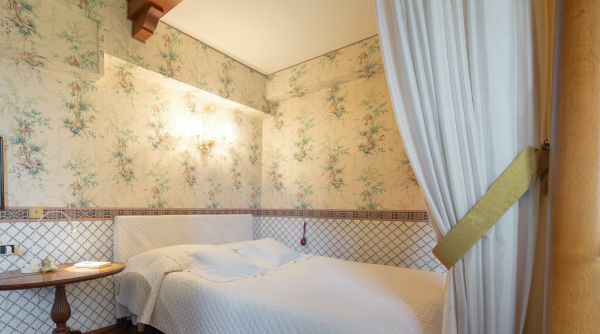 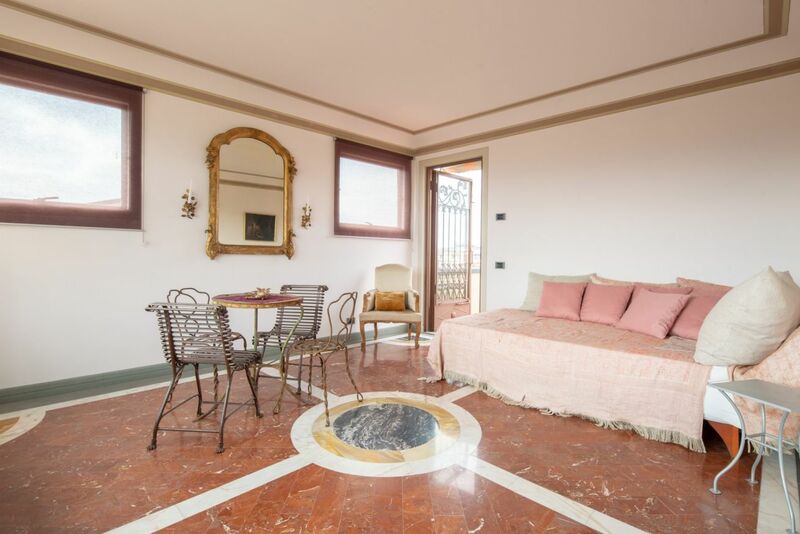 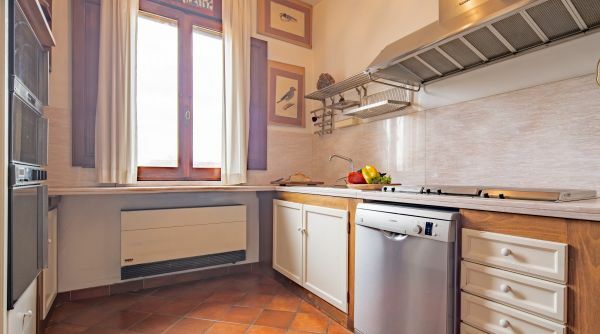 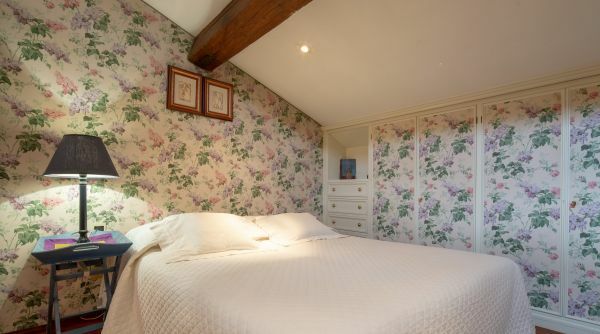 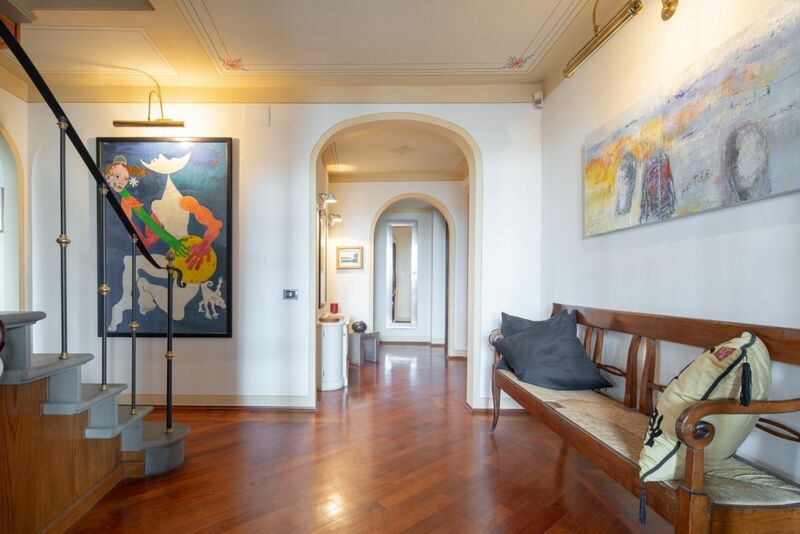 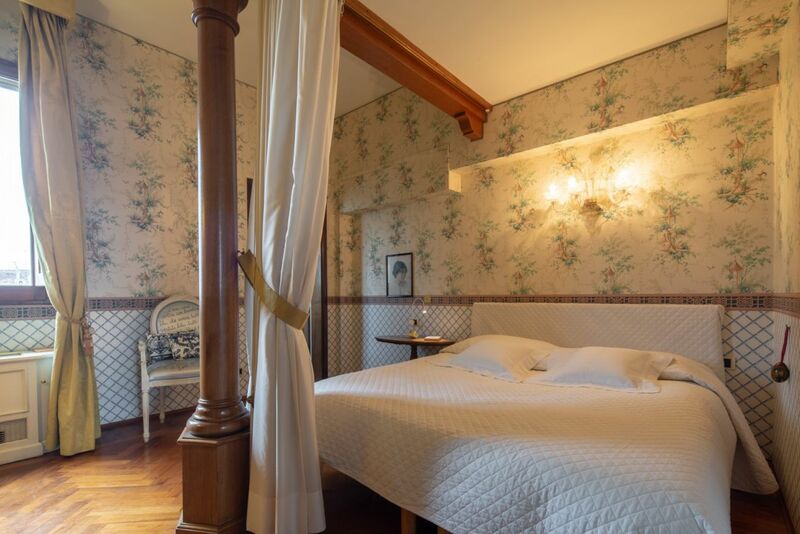 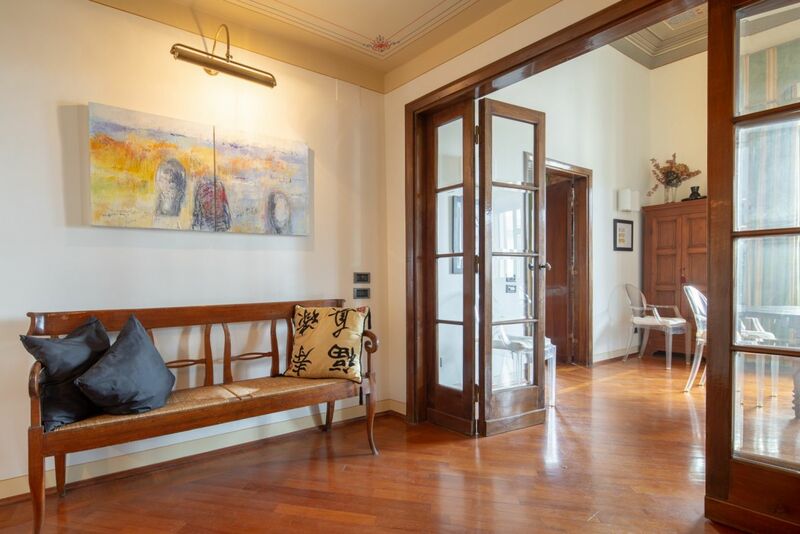 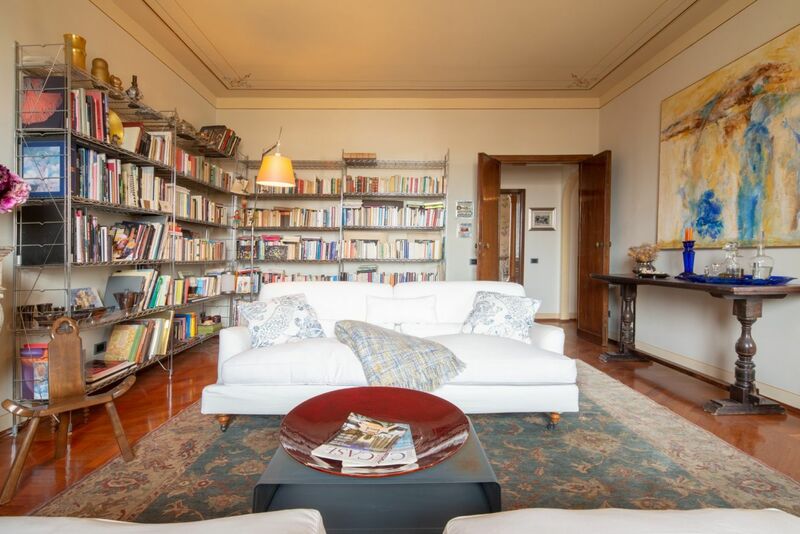 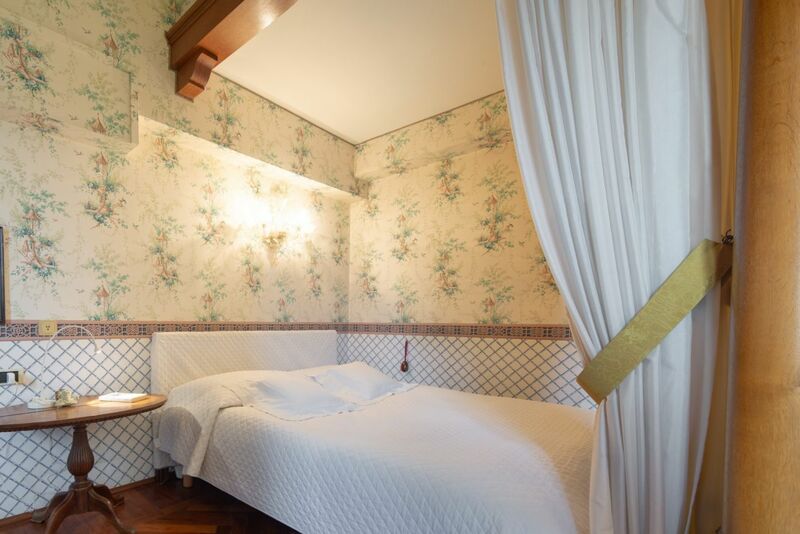 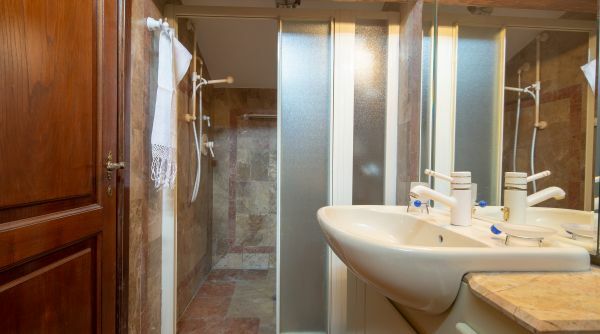 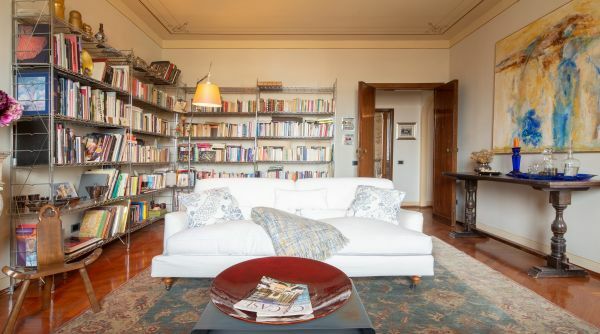 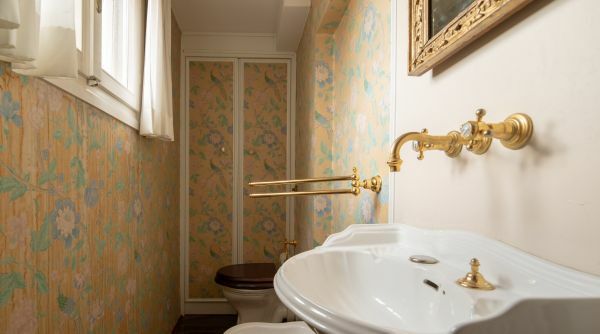 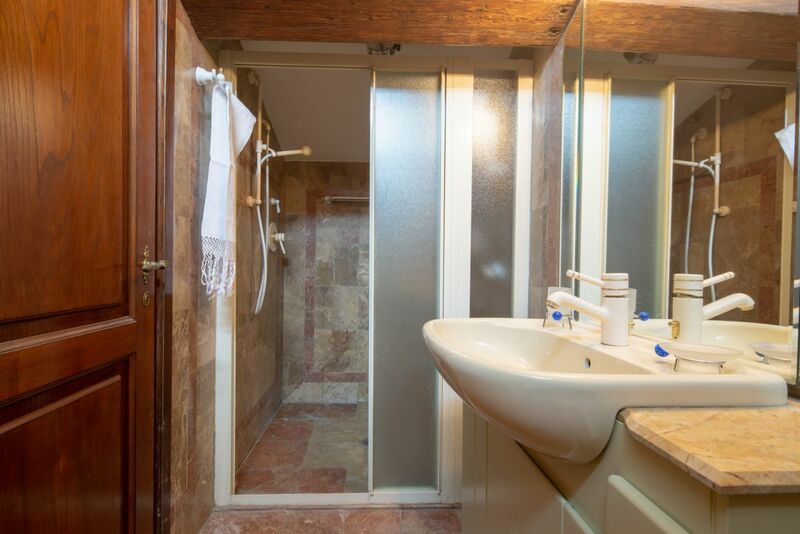 The house is located on the top floor of a heritage building in via dei Benci in the heart of the historic city center. 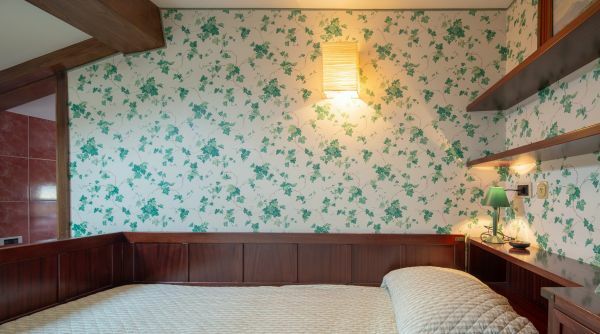 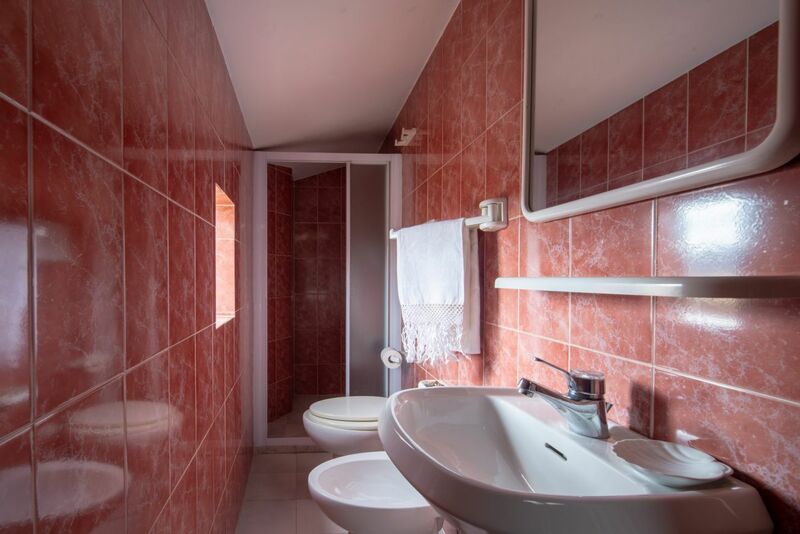 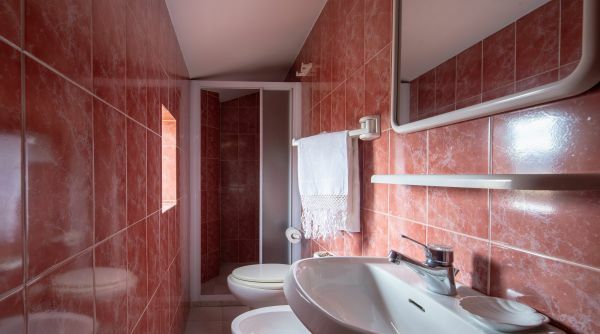 Comfortably furnished and with great attention to detail, the apartment consists of large common areas, living room, dining room, study, 3 bedrooms (two doubles), kitchen, and 5 bathrooms divided as follows: 1 guest bathroom, 2 complete bathrooms with shower and 2 bathrooms with Jacuzzi, one of which is double. 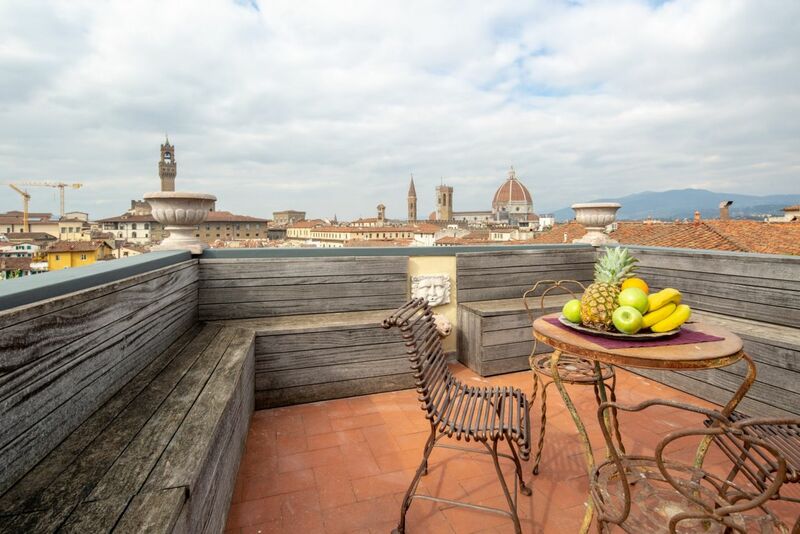 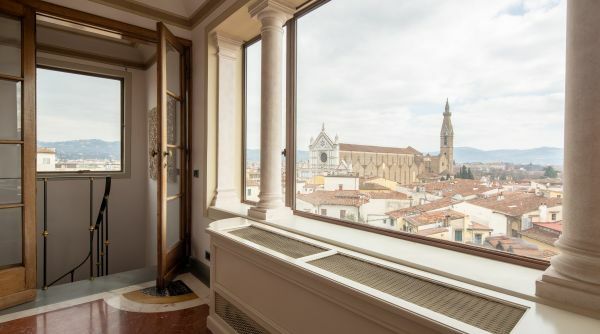 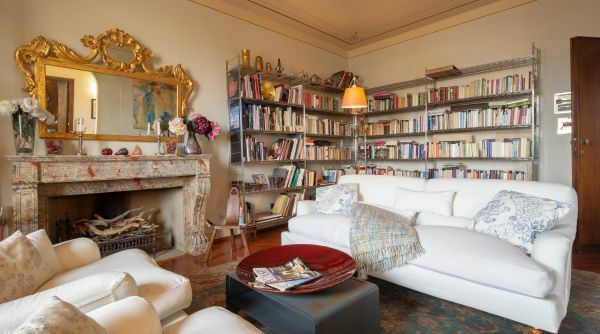 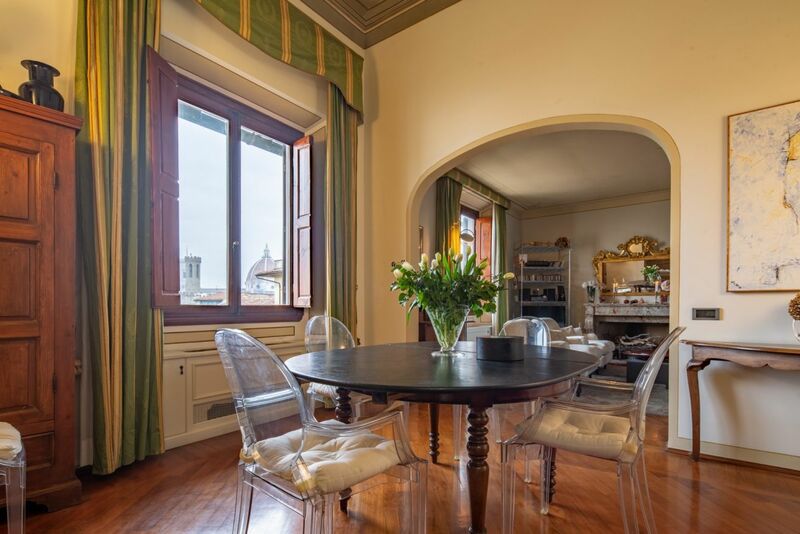 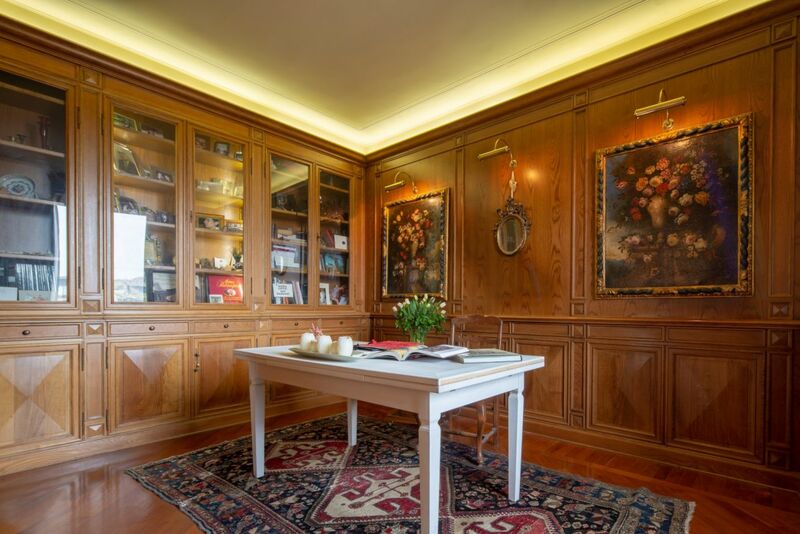 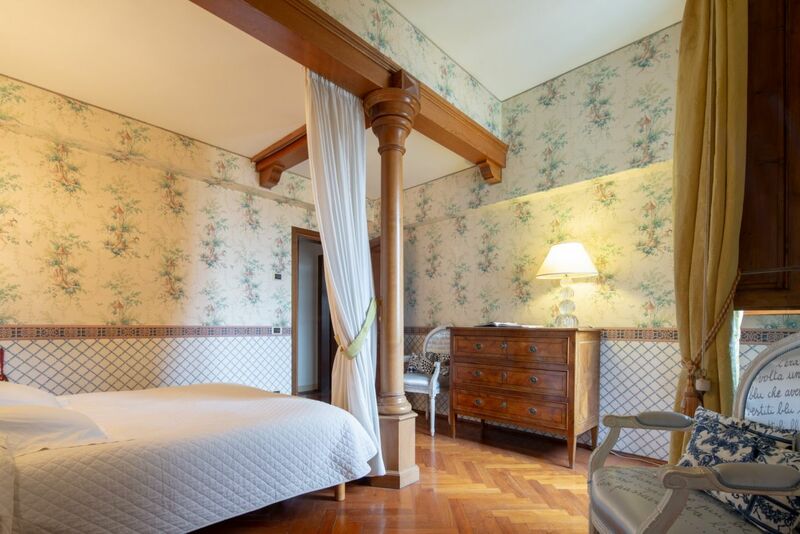 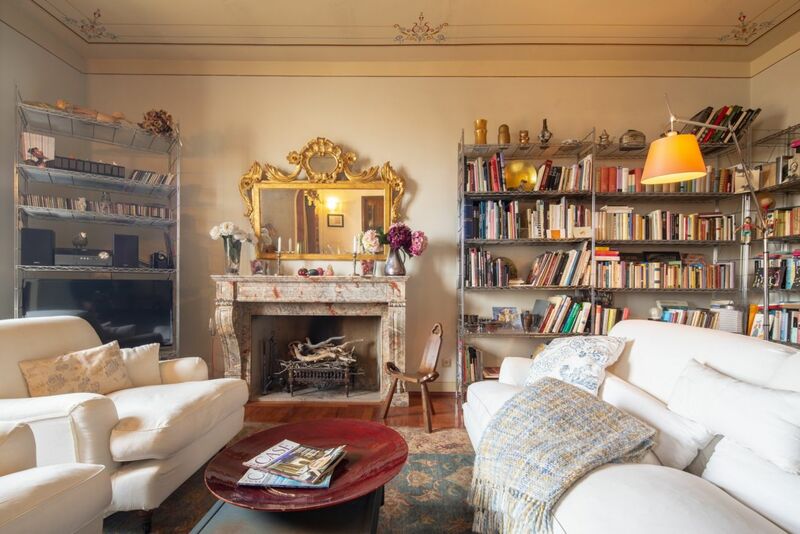 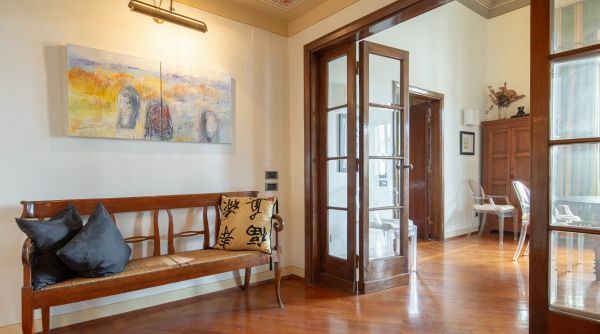 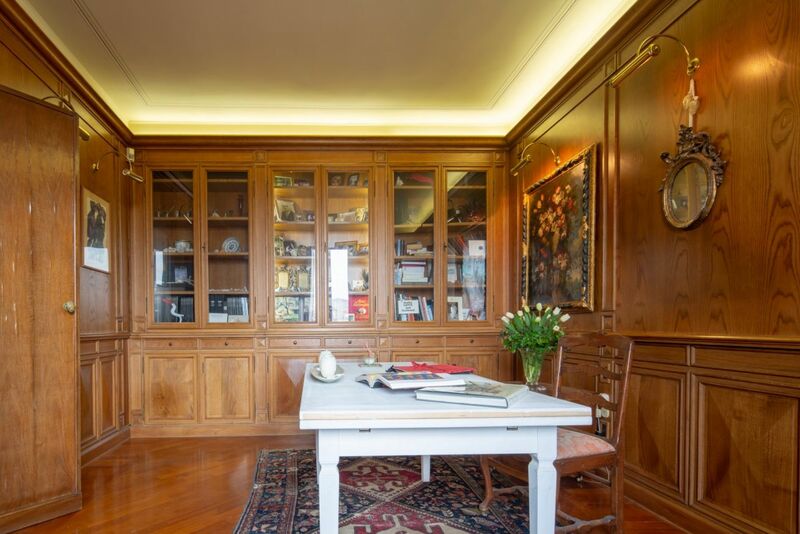 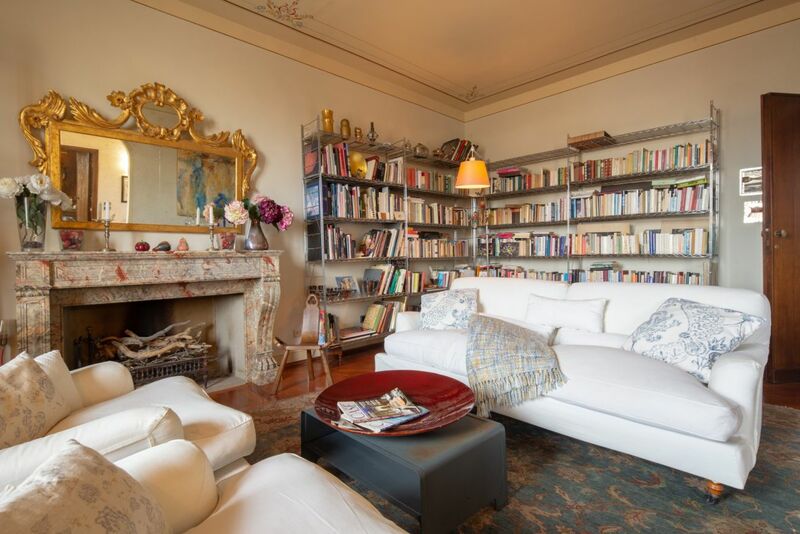 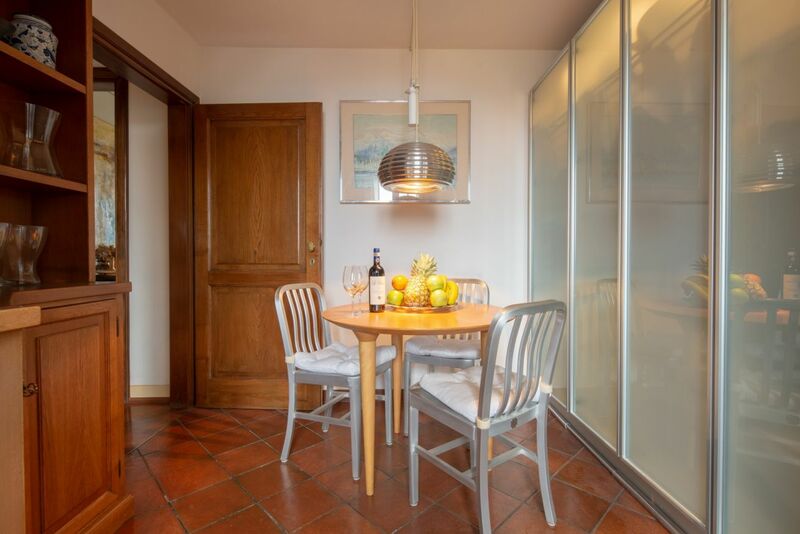 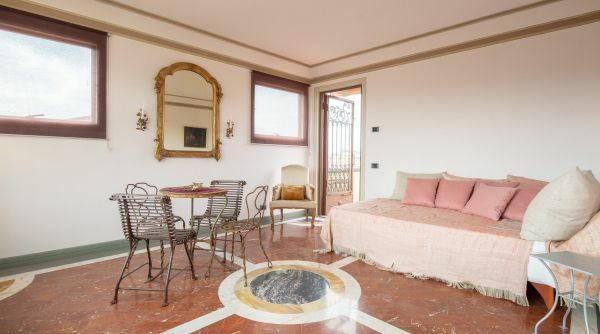 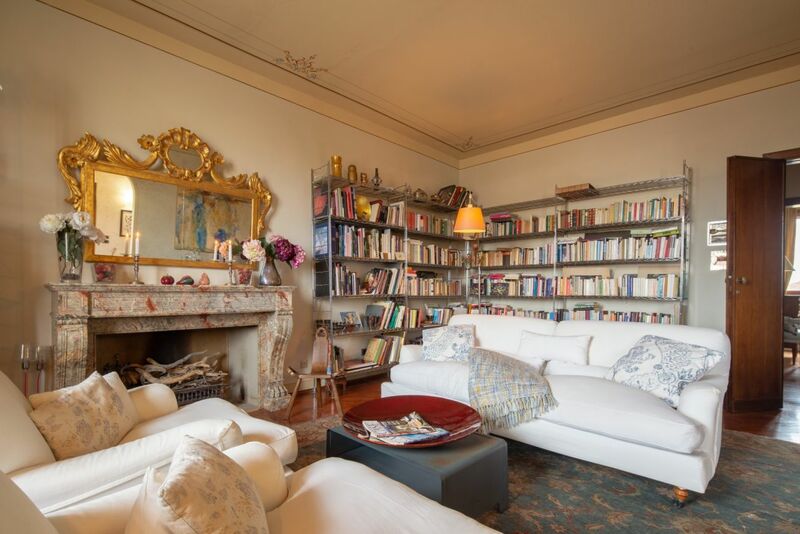 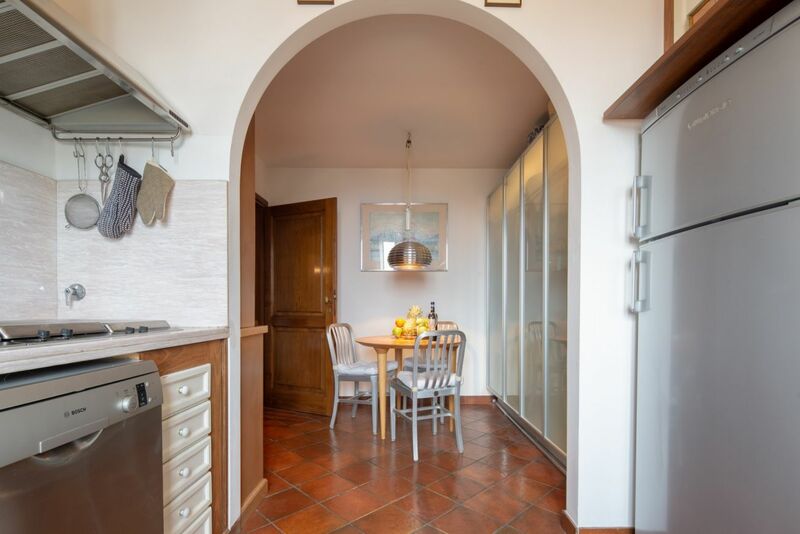 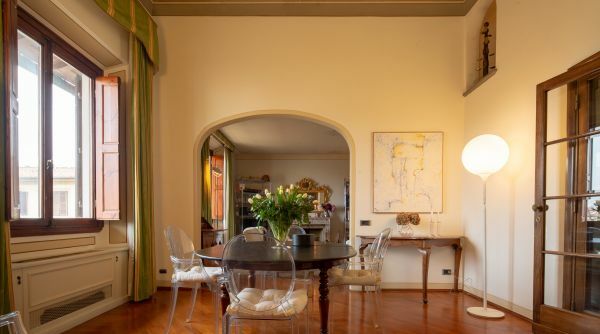 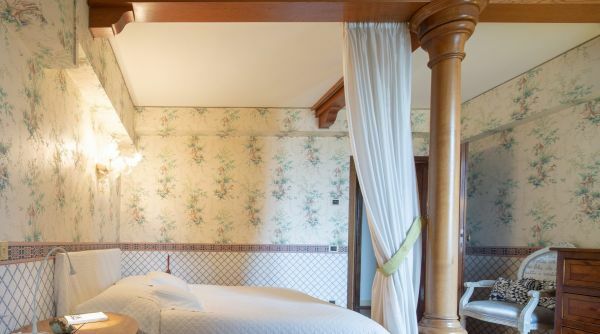 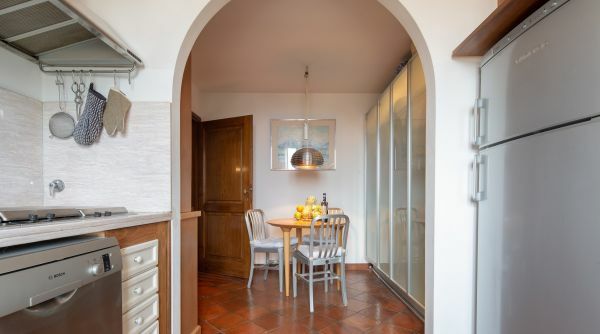 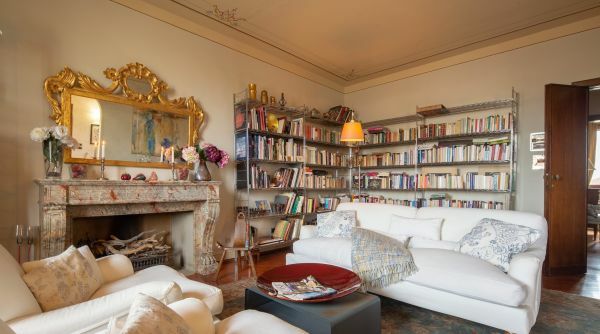 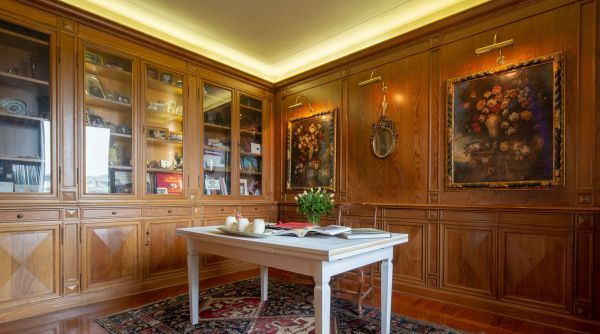 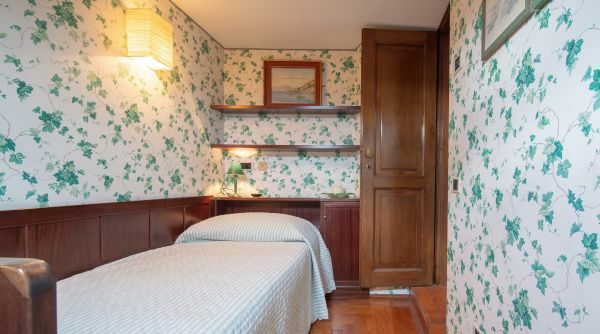 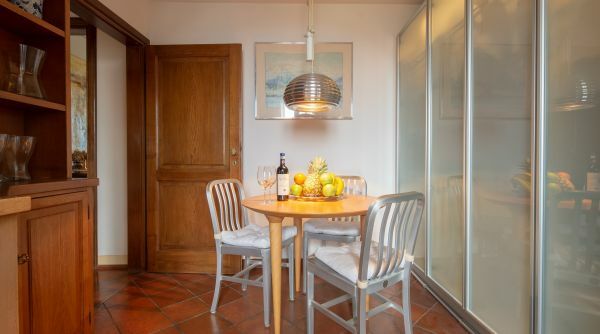 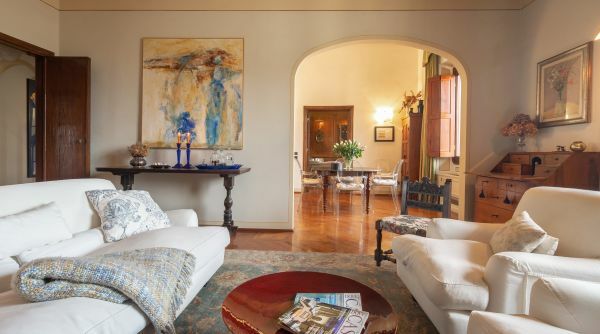 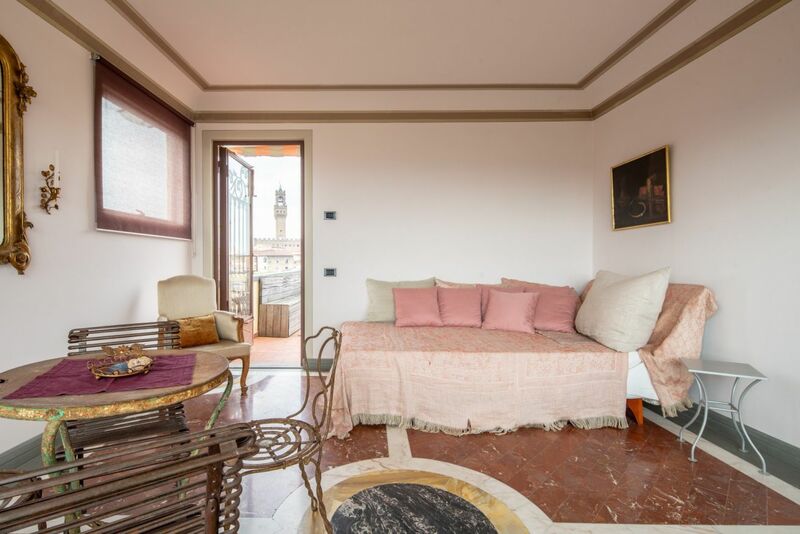 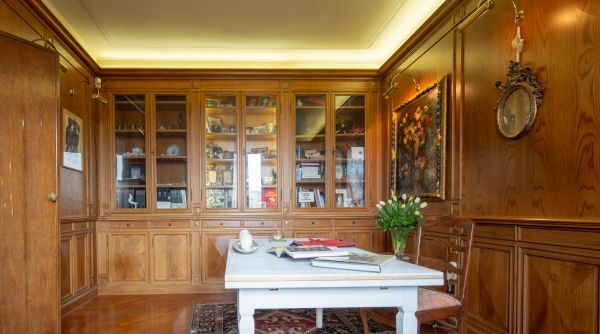 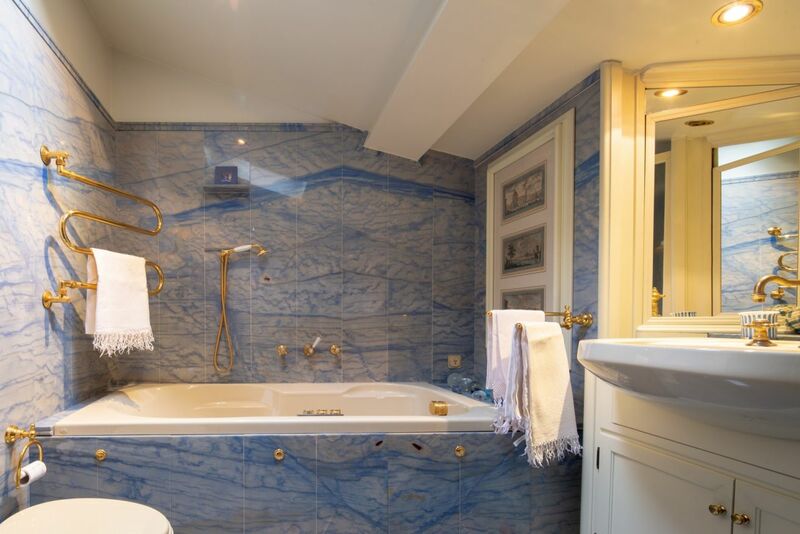 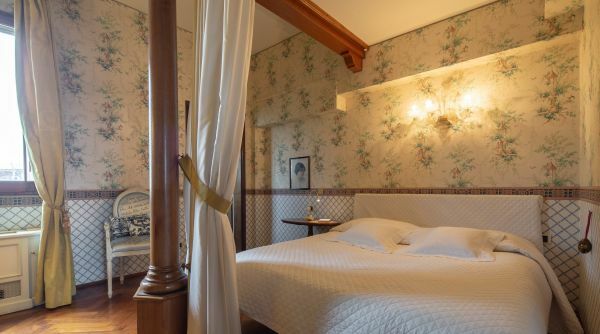 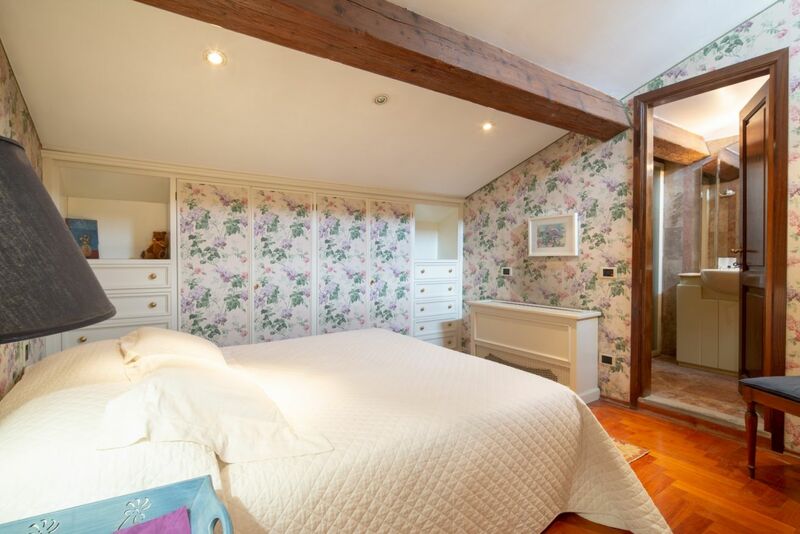 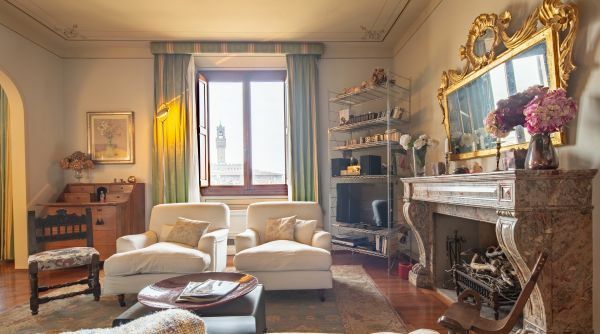 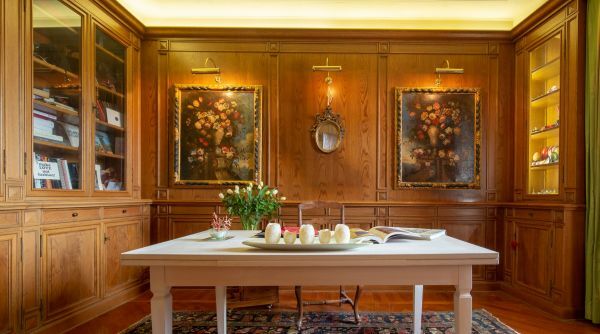 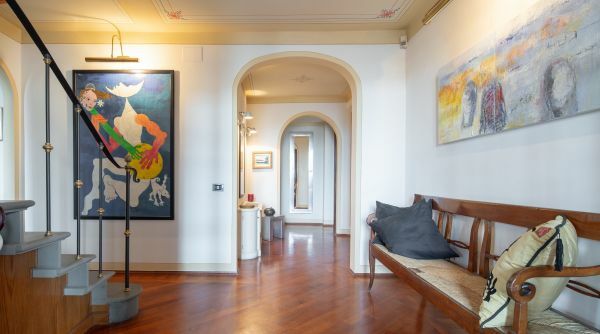 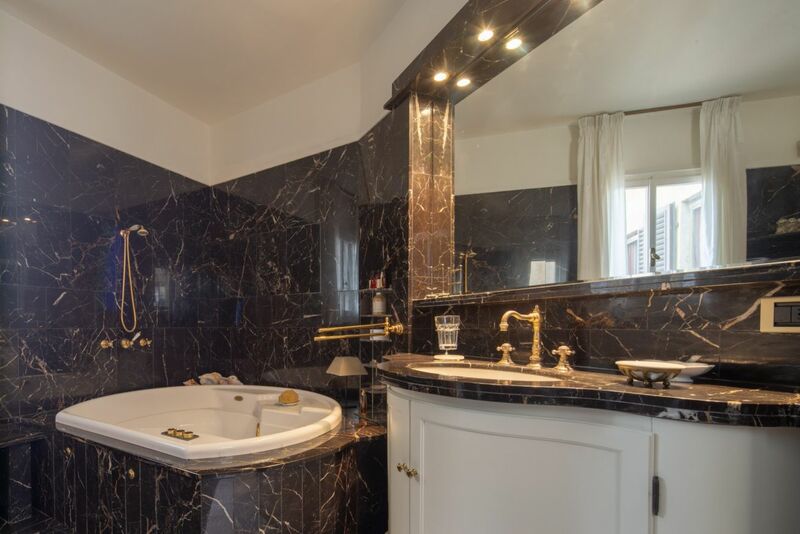 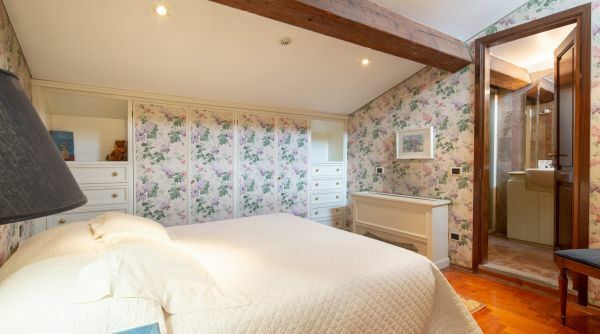 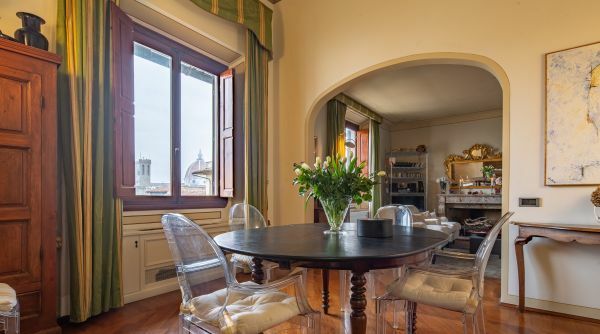 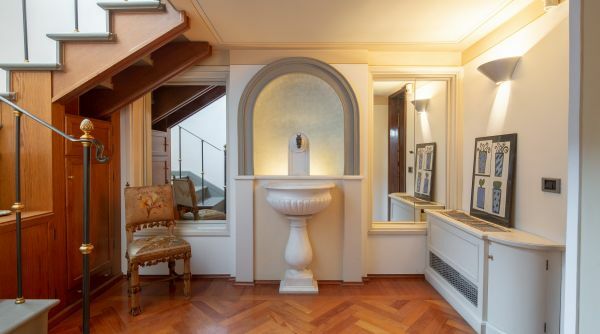 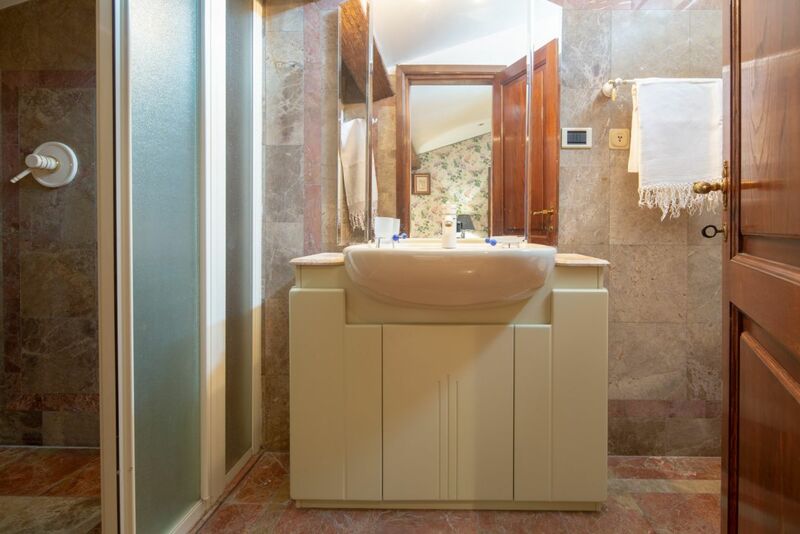 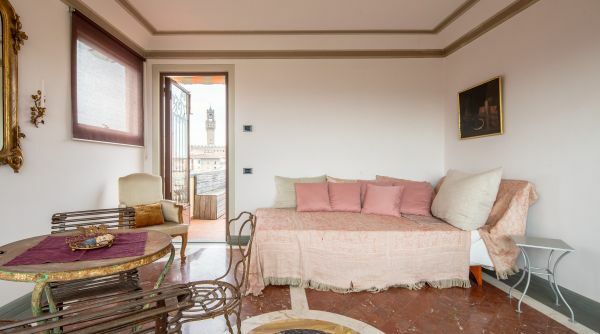 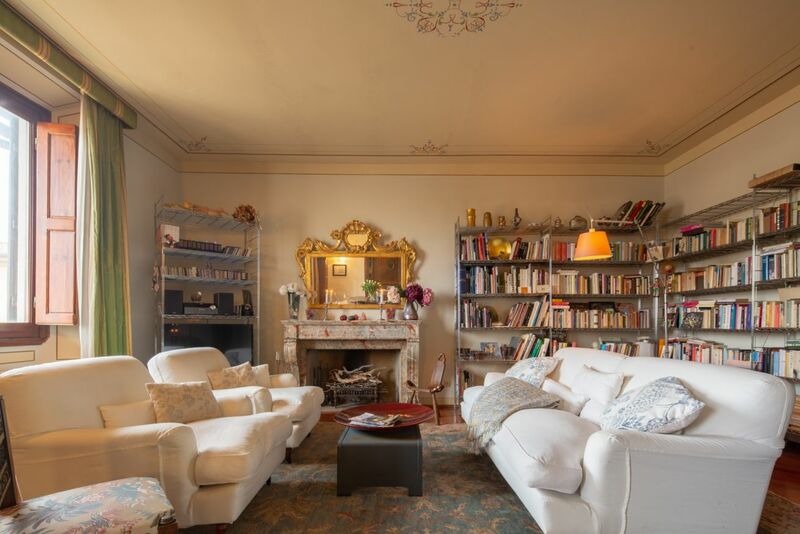 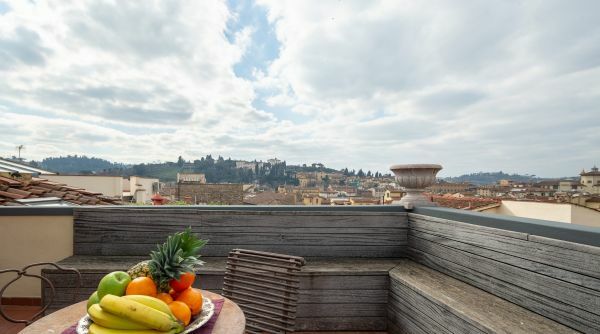 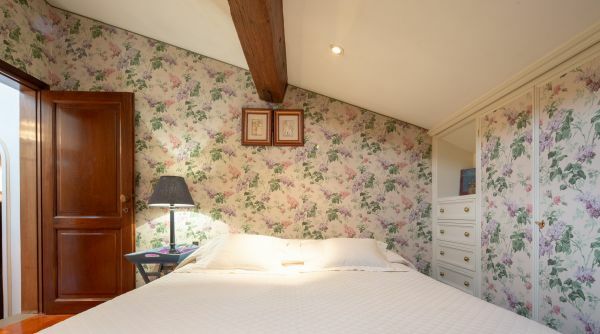 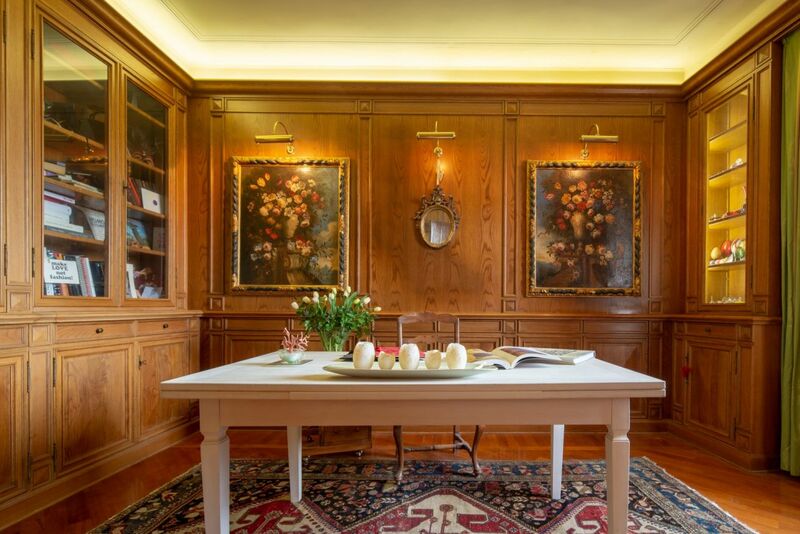 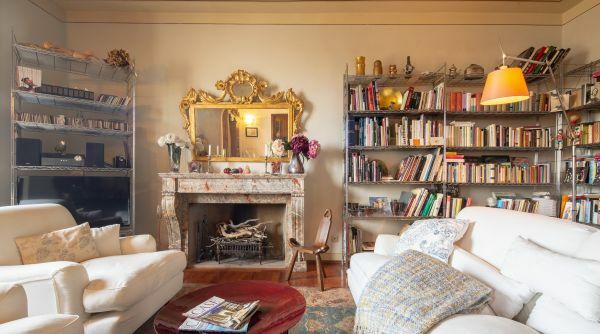 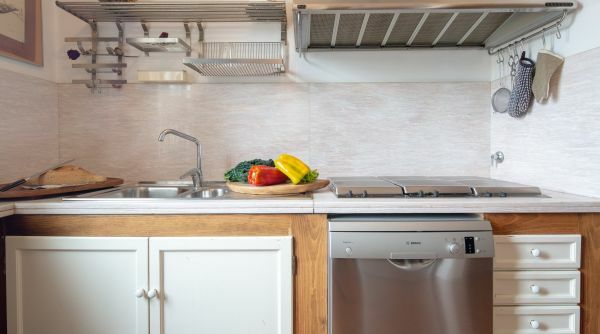 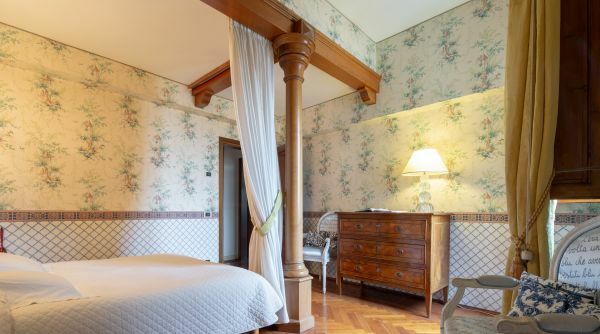 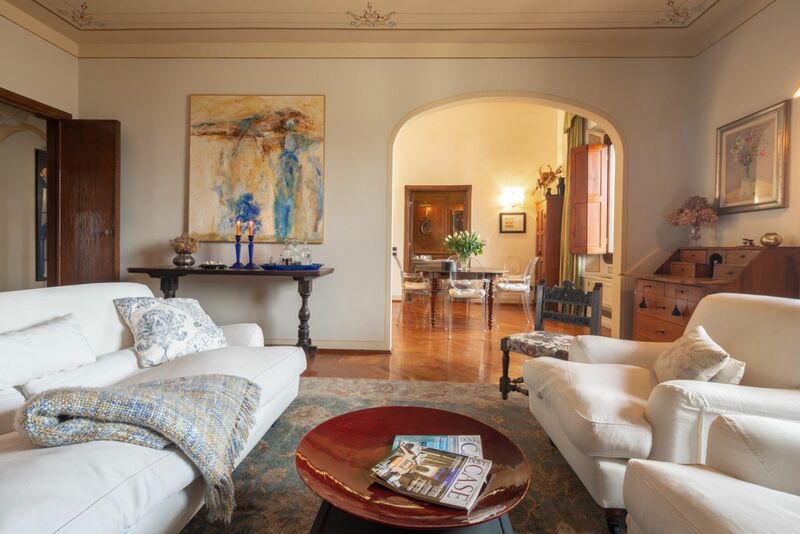 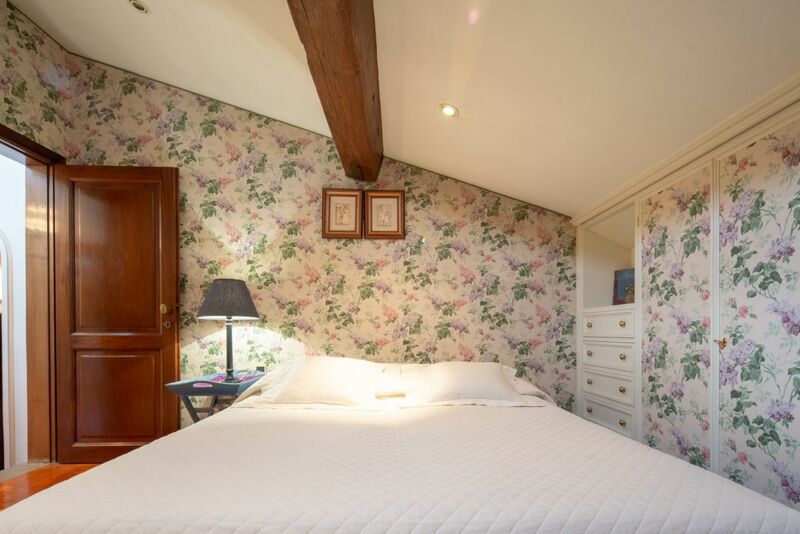 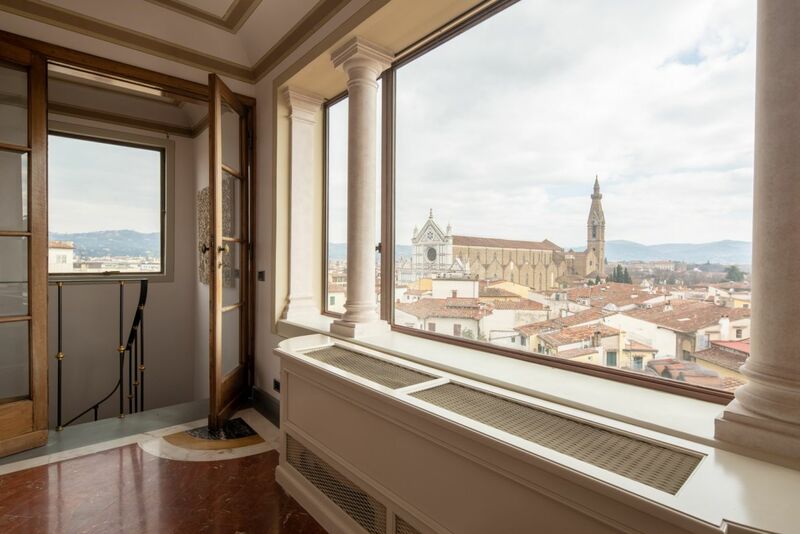 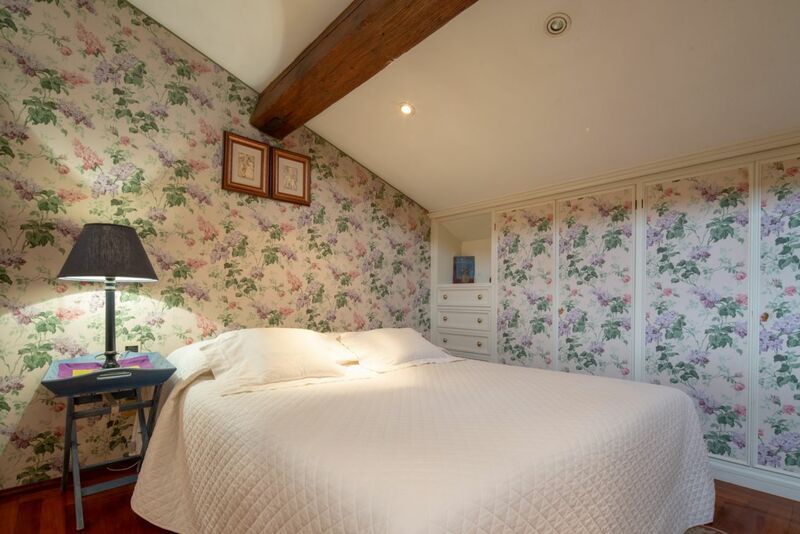 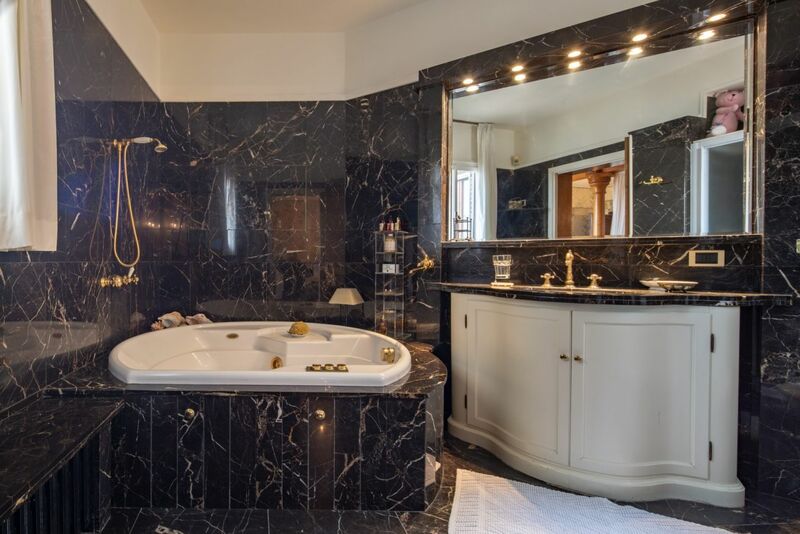 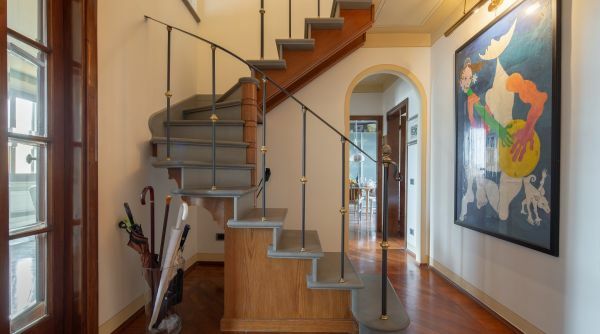 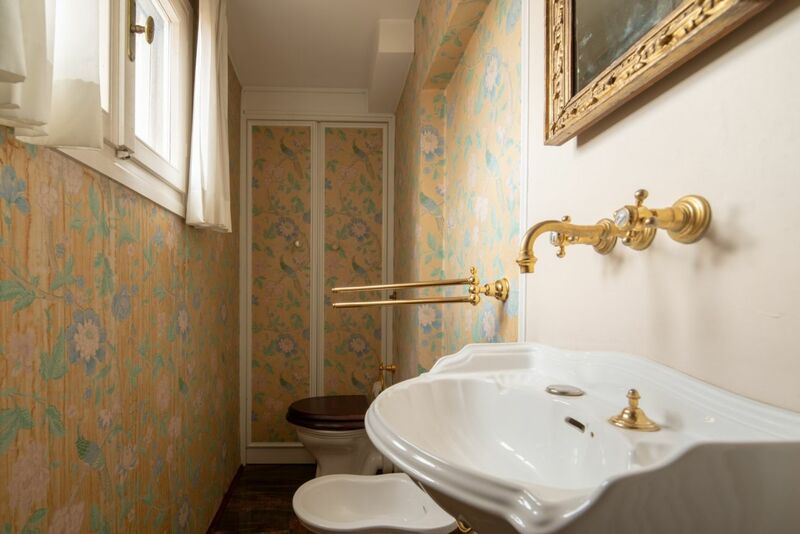 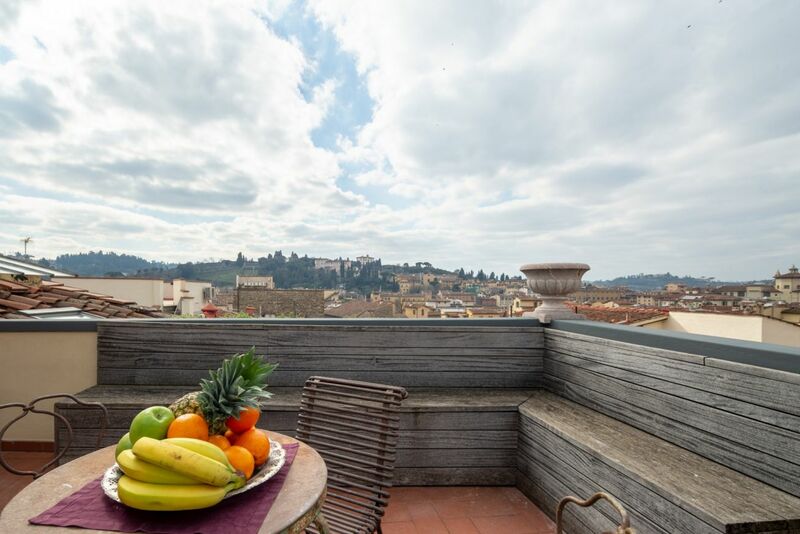 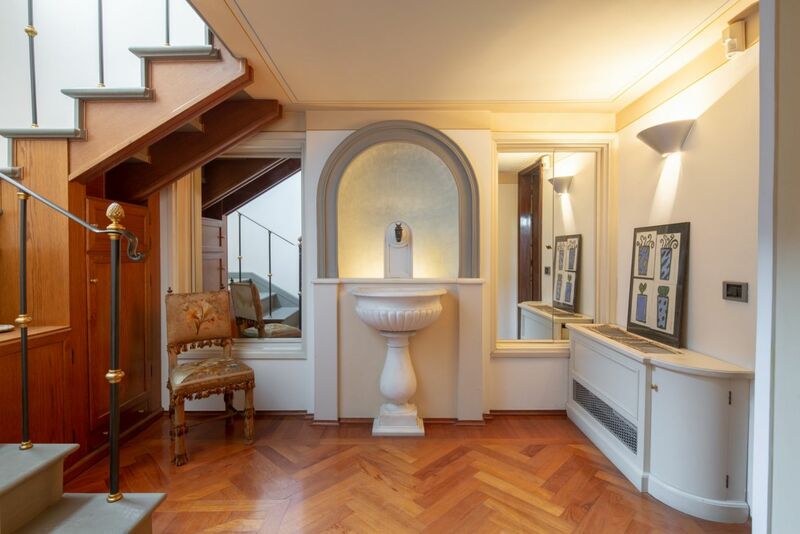 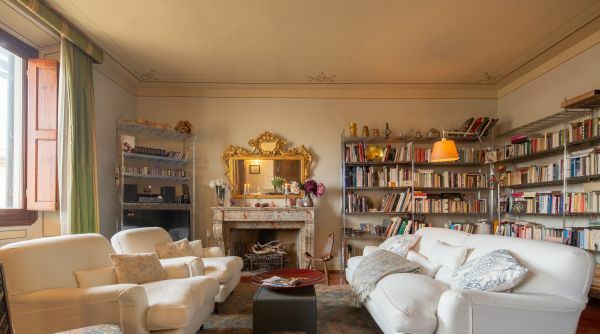 Aside from the many luxurious amenities, the wide spaces, and the many comforts of the house, the real strength of this property is the amazing view on all the monuments of Florence that can be admired both from its windows and from the panoramic terrace. 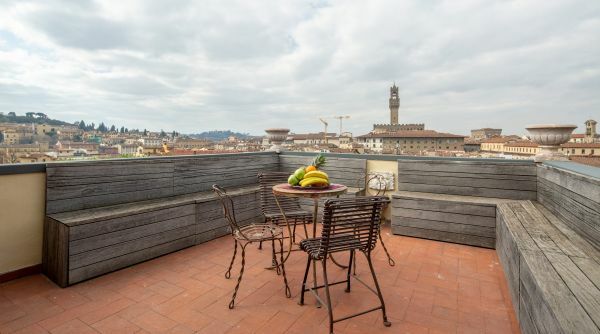 From here guy can admire the Duomo, Palazzo Vecchio, the Basilica of Santa Croce and much more. 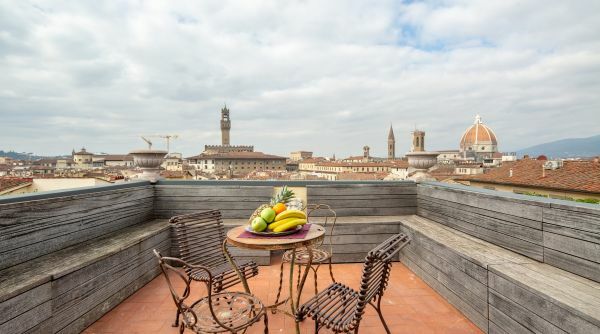 Luxury Panoramic Terrace offers guests a unique experience for their stay in Florence. 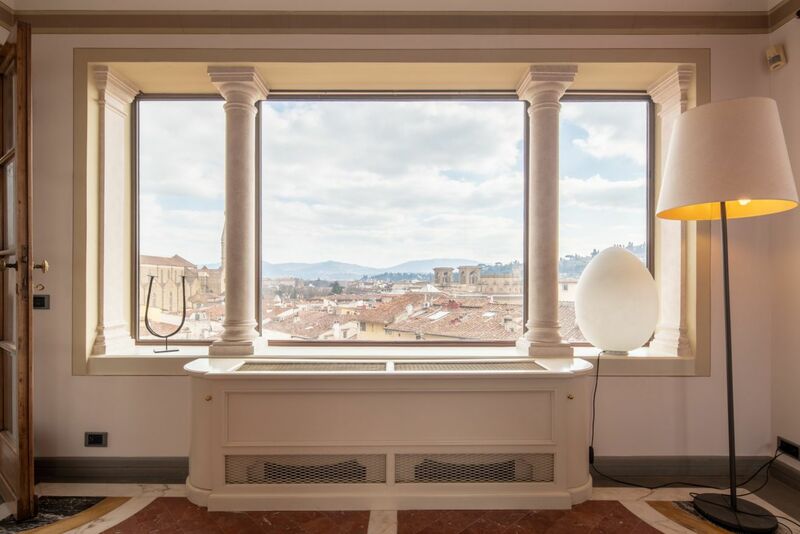 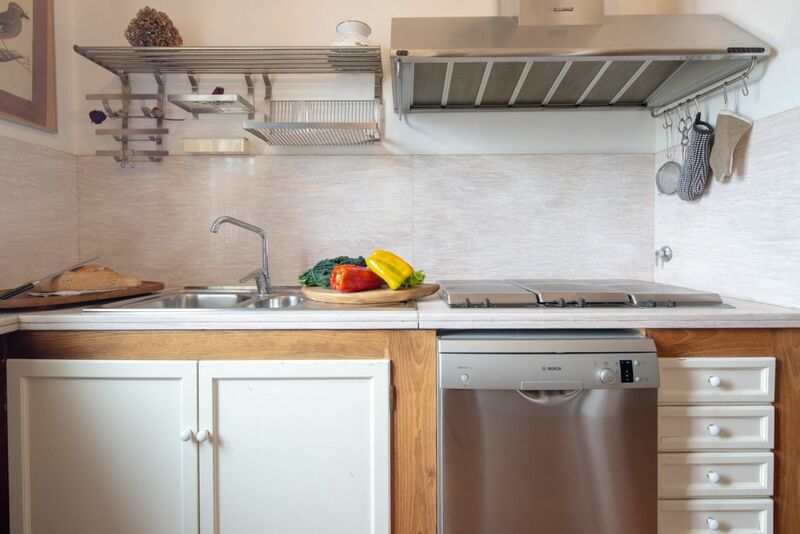 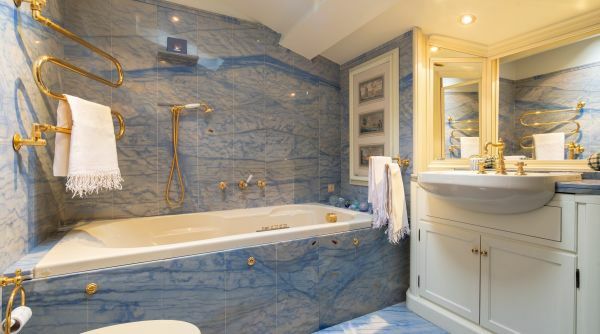 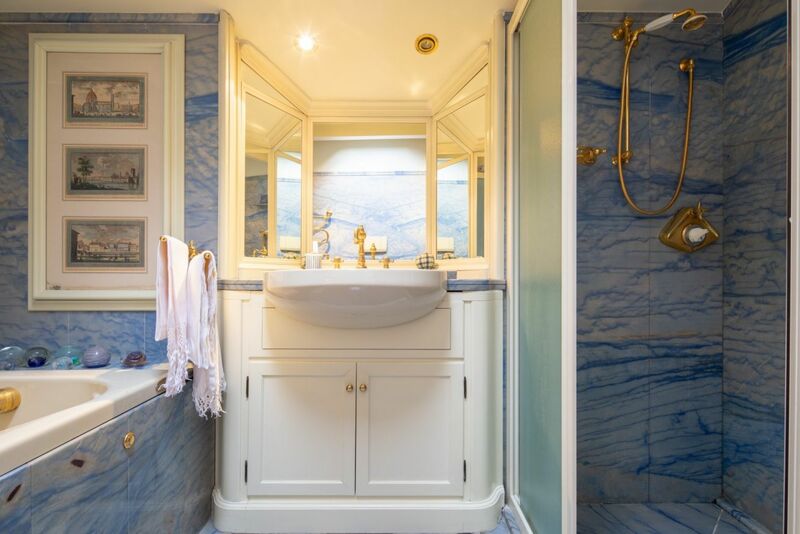 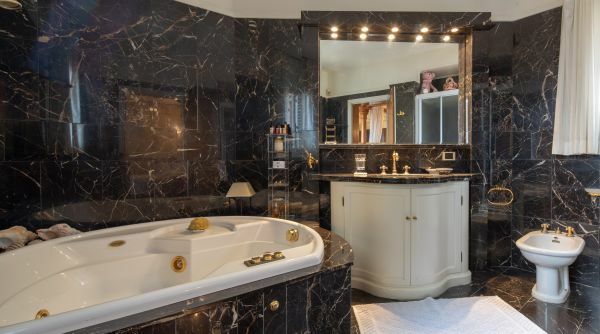 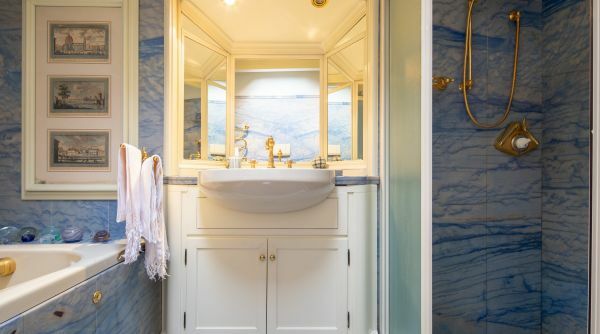 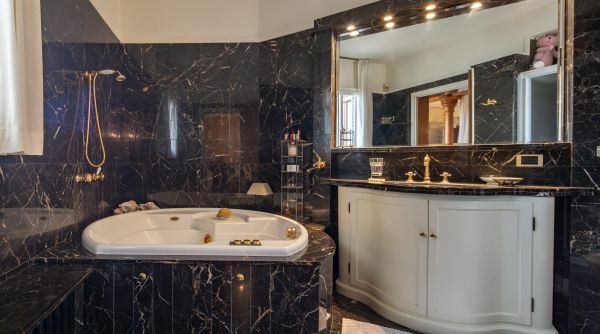 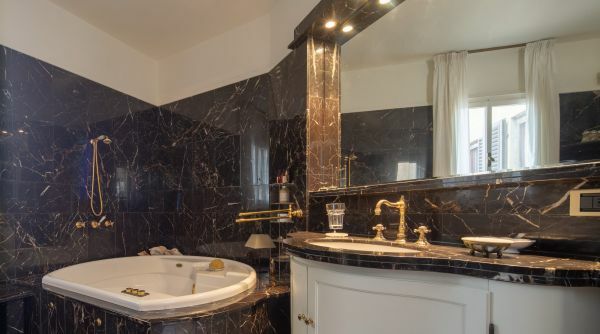 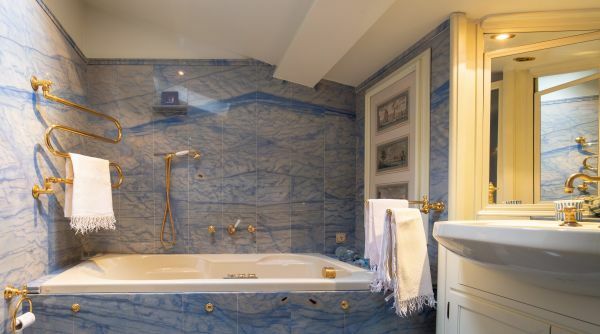 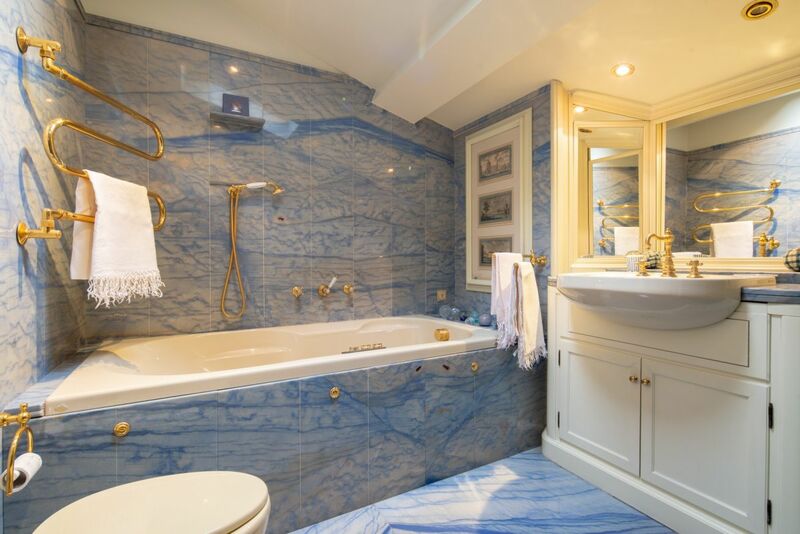 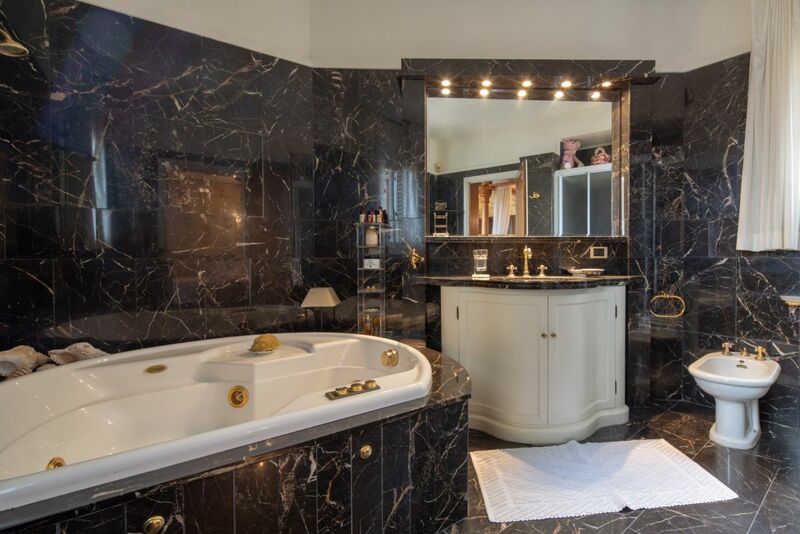 A truly exclusive property, equipped with elevator, air conditioning, Wi-Fi and many other amenities where you can appreciate valuable materials used for its construstion such as rare marbles, precious woods, antiques and even a four-post bed.